There are times when you might want to open or close router ports, disable wireless broadcasting, and even monitor those teenagers while you’re away. Tomato firmware offers a remote access feature which allows you to connect to your router from the WAN (outside of your Local Area Network). First, we’ll show you how to do it. Then, we’ll cover some drawbacks that you should carefully consider before using this feature. Step 1. Login to your router from within your LAN. 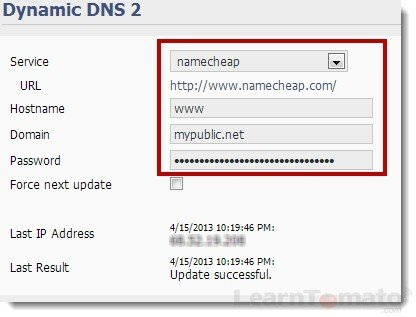 Ensure that you have Dynamic DNS (DDNS) enabled. This means that you have a domain name pointing to your router, and your router is updating the public IP address. Step 4. 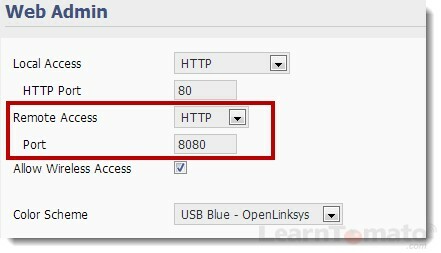 Enable the ‘Remote Access’ option and select HTTP. Remote access to your router, like any other device, requires a port number. The default port for Tomato is 8080. You can access your router from anywhere in the world going to www.yourdomain.com:8080. The downside is that so can everyone else. Make sure you use a very strong password! I also recommend changing the port number to something more unique but still memorable such as: 2020, 5050 or the year of your birth to make it easier to remember. You can optionally enable SSL which will secure your connection. There is another (more secure, but slightly less convenient) method of connecting to your router from a remote location. This is achieved by enabling SSH/Telnet, and initiating the connection via a secure tunnel. The challenge with that method is that you’re not always using the same client machine. And connection credentials make it a little sloppy to manage for people that like to travel lightly. It all boils down to what you need. Unless you’re overly paranoid about security, the method above with SSL should be sufficient in most cases. But if you find that you’re not using it, it might be best to disable it just to be on the safe side. What Is Remote Access, And What Can I Do With It?